Last summer I spoke of what I see as the dangers inherent in off-leash dog parks. I’m aware now, because of an incident that was recently brought to my attention, that the traumatic troubles go beyond just what a mentally unstable dog might cause through aggression toward another dog. Dog owners at off-leash dog parks, like almost anyone anywhere, may be carrying guns. Now consider an issue wholly apart from deliberately harmful aggression from an unstable dog. Think about the well-meaning roughhousing that dogs often do in the name of fun. 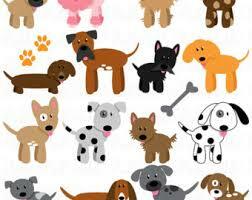 It is seen as great fun if the owners of the dogs know each others’ dogs. But at off-leash dog parks, more often than not, there may be newcomers not known to the other owners. In the tragic incident I referred to earlier, a gun-carrying owner made the false judgment that what was roughhousing between his dog and another dog was a fight instigated by the other dog. He reacted by fatally shooting the other dog. Once again, I have to strongly recommend that dog owners be acquainted with the dogs and people present at any time in an off-leash dog park. If that isn’t possible, I urge forgoing the off-leash dog park experience for your dog. I wish it could be otherwise.